A fairy tale come to life surrounded by picturesque landscapes and an extravagant ballroom elaborately decorated with an array of lush floral bouquets, delicate lace and a delicious hand-picked menu fit for a king and queen! 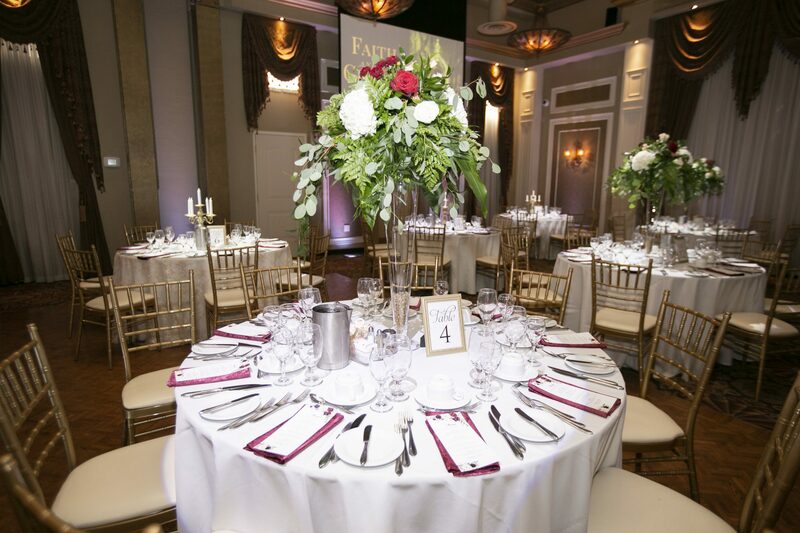 We caught up with Faith and Graham who share with us their experience hosting their dreamy Beauty and the Beast themed wedding reception in one of our magnificent ballrooms. For Faith and Graham dreams really did come true! In three words how would you describe your day? Dream come true… But when being descriptive: Elegant, romantic and unforgettable. What did you find most surprising about the wedding process? We were surprised to see how perfectly everything came together. You expect something to go wrong, or to be different than you had hoped, but everything we wanted unfolded perfectly for us on our day. How was your overall experience at LIUNA Station? AMAZING. We can not say enough great things about LIUNA Station. From the atmosphere, to the food, we are so happy we chose to have our reception here. 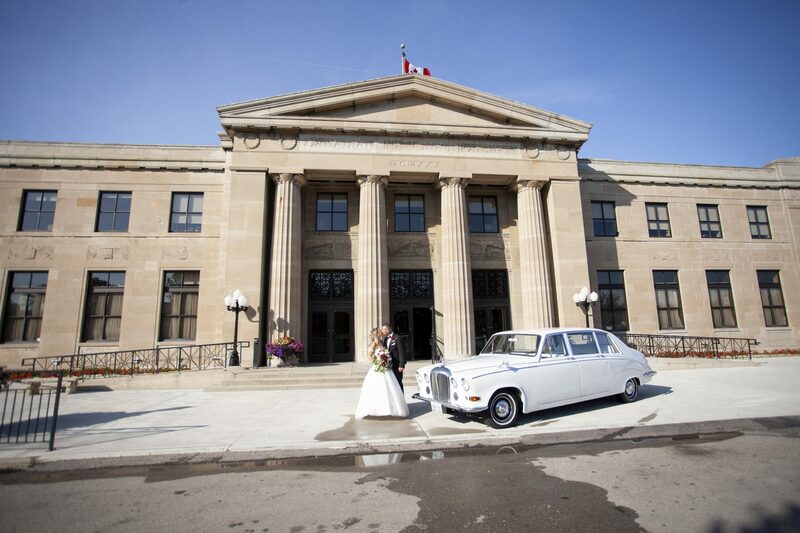 We had been dreaming of our wedding at LIUNA Station since 2013 when we attended a function for Graham’s company, and our wedding day was well worth the wait. 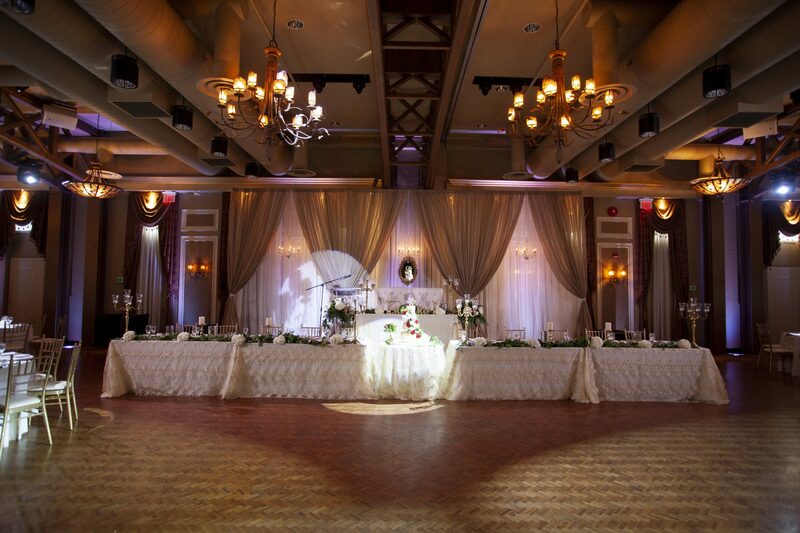 What was your favourite part of having your wedding at LIUNA station? The experience. LIUNA Station takes a wedding to the next level. Although it is structurally sound and beautiful, it is the incredible staff within it that make it a top venue for weddings. They work so hard to ensure everything goes perfectly. Our day of coordinators were extremely kind and helpful, making sure the day was everything we anticipated it to be, and more. Did you use any of LIUNA’s preferred vendors? How was working with the vendors and venue? Yes, we did. We used AMV Productions for our photography and videography, and DJ Emporium for our lighting and sound. Along with our choice in venue, these were other crucial decisions that made our day as special as it was. How were the event coordinators day of? Our event coordinators were amazing at both LIUNA Gardens and LIUNA Station. If this were theatre, we would consider them our backstage managers throughout the process, ensuring everything went off without a hitch! How was the food? Did you customized your own spectacular menu or use one of our deliciously crafted menus? The food was AMAZING. We received so many compliments. Our guests could not believe how much there was, and the quality. We chose one of the crafted menus, but Nicole worked with us to substitute a few options to get that perfect menu. Did you have any special requirements day of that LIUNA had to meet? We needed several decor items set up, including half of our centerpieces, menus, and several other items at LIUNA Gardens for our Ceremony and LIUNA Station for our reception. We dropped these items off the Friday before our wedding, and with minimal explanation the staff at both locations set all of it up perfectly. What about the LIUNA experience would make you recommend them to another couple who’s looking to book their venue? To be honest, everything. If anyone ever asked me where they can have a gorgeous wedding, with the right amount of elegance and quality food to impress, both LIUNA Gardens and LIUNA Station are dream venues. I also appreciate money well spent, and that is exactly what you get when booking with LIUNA.